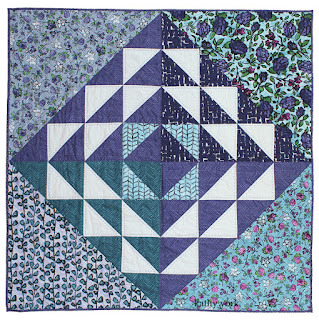 I had so much fun making this little baby quilt with Melanie Testa's new fabric line Florabunda! 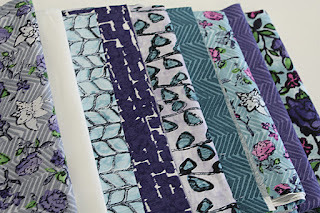 And, I am delighted to be part of the blog hop (see below) to showcase her new line! I started making quilts many, many years ago. My first quilt was a log cabin quilt. 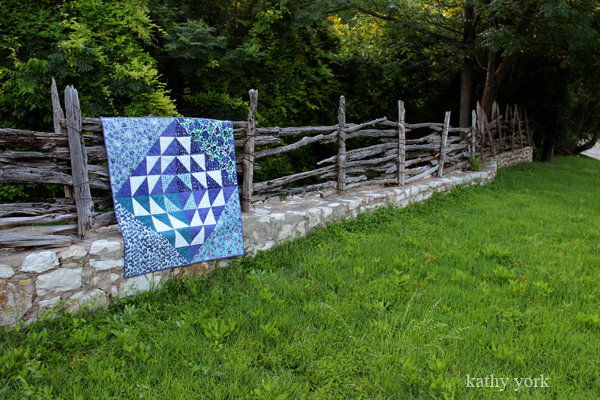 After making a few traditional quilts, I was drawn into the world of art quilting. The learning curve was quite steep as I had no real art background or training, but I knew that's where I wanted to go! 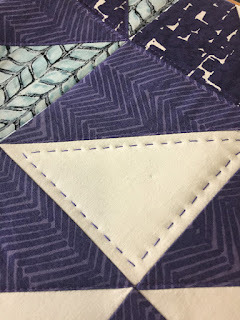 However, there are also times when my brain needs a rest, and I am drawn back to working with quilting blocks and commercial fabrics. This was one of those instances, and it didn't disappoint. I loved touching this fabric. It was soft and the colors and patterns were so appealing to me. I had an idea to use some triangles for this quilt, and started coloring on graph paper, and this is what evolved. When the fabric arrived, I was ready to go! The entire quilt went together in just a few days. I added some hand quilting with Superior's heavy weight Sew Sassy thread, which looks perfect with the aesthetics of this quilt. 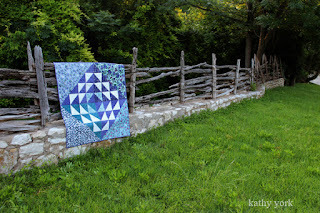 Now for the blog hop info! Twelve artists have joined with RJR Fabrics, Quilty Box and Melanie Testa to host an Instagram Florabunda introduction and fabric GIVEAWAY! You are invited to join the Blog Hop each day, June 7 through June 16. 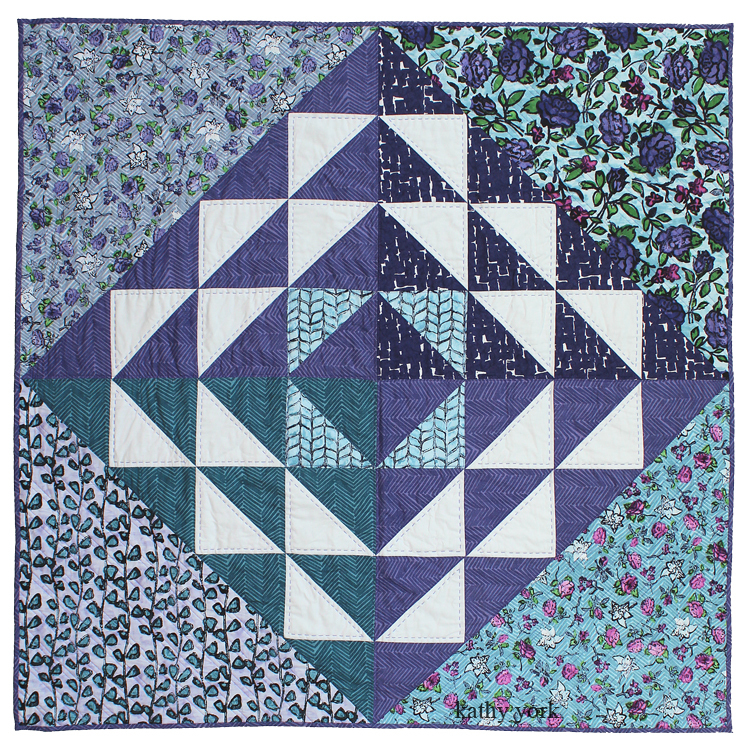 Please, visit and like all Florabunda Blog Hoppers on Instagram, including @RJRFabrics, @QuiltyBox, and @MellyTesta to increase your chances to win! 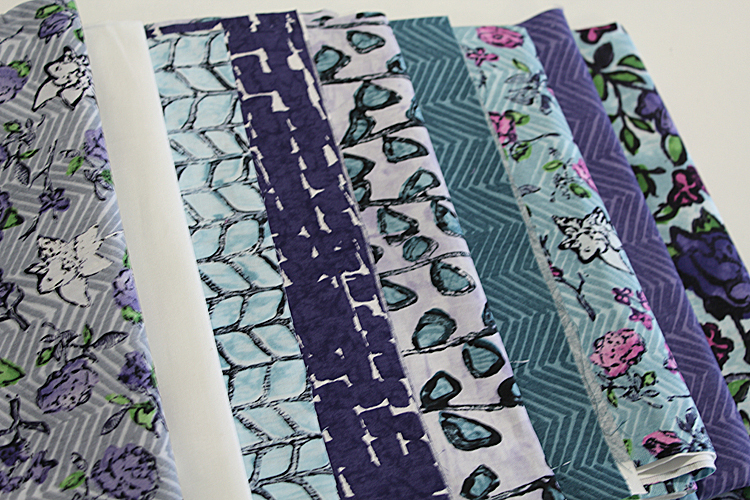 RJR Fabrics will post chances to win Florabunda Swag daily (June 11 through 16). Don't forget to check out Melanie Testa’s blog each day too. You will get highlights and interesting info about each participant!